Skin ageing is inevitable. This starts as early as mid 20's. As our age advances, our skin gradually deteriorates. We suffer from deterioration in facial skin tone, elasticity, hydration, wrinkles, pores and scarring. 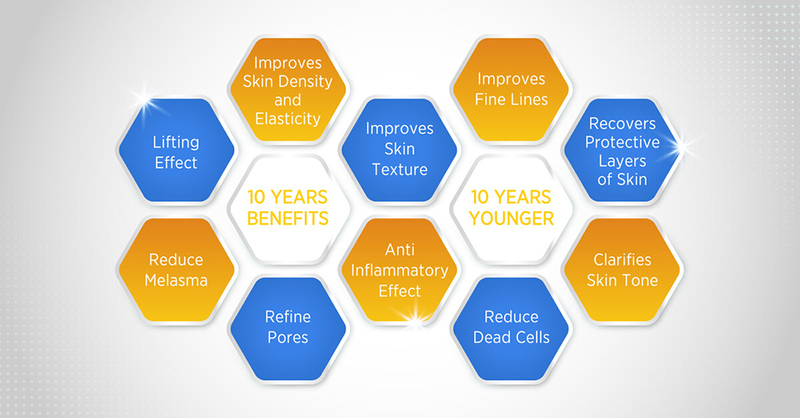 From slower healing to dull dry skin plaguing the “tired thirty-somethings”, from wrinkles and lines to poor skin elasticity crippling the “fatigued fifties”, DNA extract therapy holds the promise of skin self- regeneration— and thus a brighter, more youthful dermal future ahead for us all is a possibility after all. Rejuran PDRN originates from South Korea. 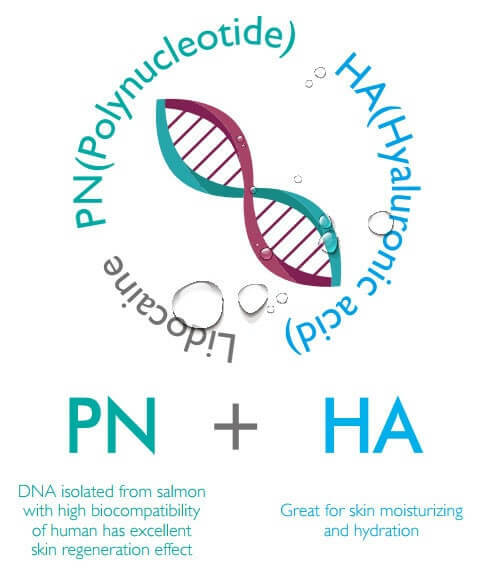 Polydeoxyribonucleotide (PDRN) is an ingredient made up of deoxyribonucleotide polymers where 50 to 2000 base pairs are combined in a chain and is known to accelerate cell proliferation, so helping in regeneration of skin and tissue. A refreshing and creative way to reverse aging and restore youthfulness to your skin! PDRN is a vital ingredient not found in regular skincare. 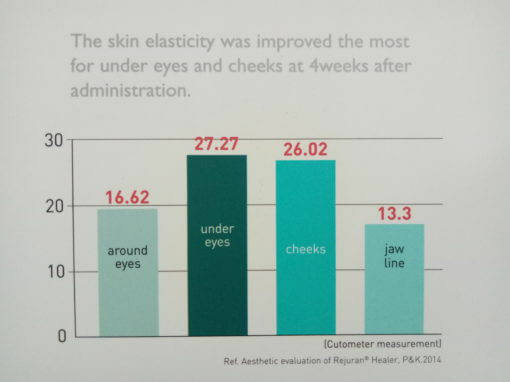 Rejuran Healer PN with PDRN is placed in the inner skin layer by a series of micro-injections using an advanced micro-injection equipment, similar to Skin Booster injections. Incorporating this essential molecule into your skin will kick start your skin’s physiologic regeneration processes. 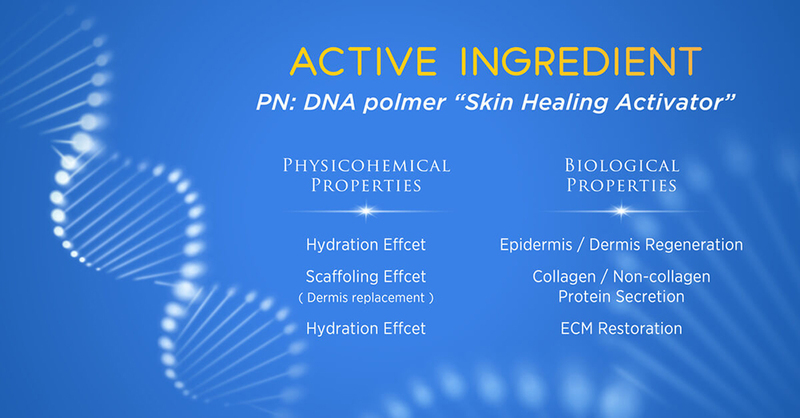 N/PDRN is able to work biologically to increase metabolic activity in the cells within the dermis layer (the fibroblasts), which stimulates production of collagen. The skin is initially cleansed and numbing cream is applied. 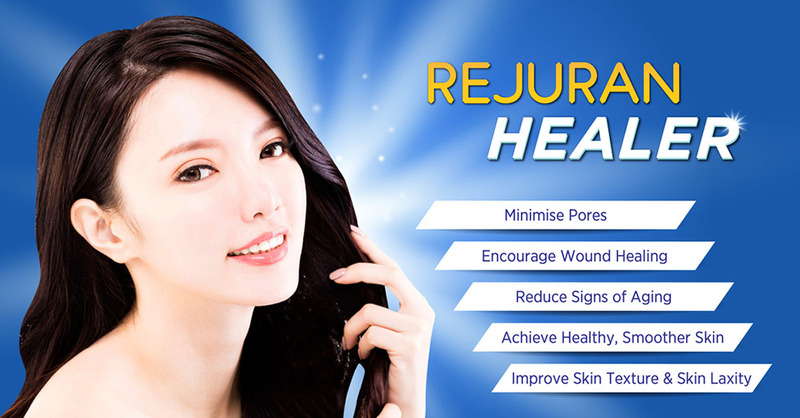 Once the skin is numbed, your doctor will use a fine needle to administer multiple small amounts of Rejuran PDRN under the skin. The treatment takes about 10 minutes to complete. After the treatment is complete, time is required for the PDRN to take effect and repair the skin from the inside thus it takes up to a month to see any visible improvements on your skin. Our doctors will review your treatments regularly to ensure good progress. Numbing cream is applied prior to treatment to minimize any pain or discomfort. Local anaesthesia painkiller is also added to the PDRN to reduce discomfort further. What is Post treatment care i need to take note of? You are able to apply your skincare within the same day. Application of makeup is possible the next day. Remember that adequate sun care is highly recommended to protect your renewed skin and protect it from UV damage from sunrays.